TrailblazerGirl racers need this helmet! 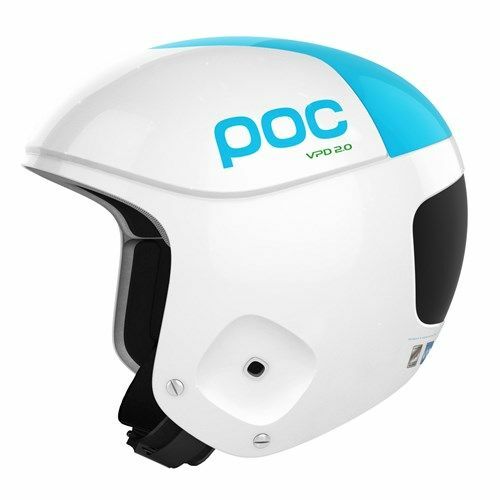 POC designed the Orbic Comp Julia with a special patent pending panel in the front of the helmet to decrease the impact that your head will experience when hit by gates in slalom skiing or in a fall. Studies show that the transmitted energy from hitting gates is decreased by as much as 50% compared to other race helmets. Also, you’re ensured a good fit with the choice of 3 helmet sizes, as well as two interchangeable linings for additional size adjustment. On the slopes, don’t compromise on your safety, check out the award-winning Orbic Comp Julia for your next race helmet.